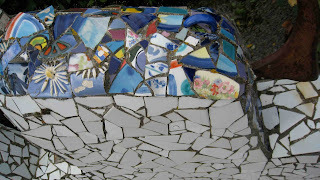 I was never a huge fan of mosaic. 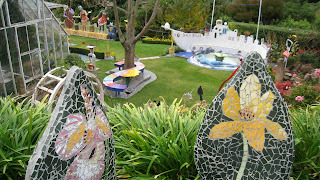 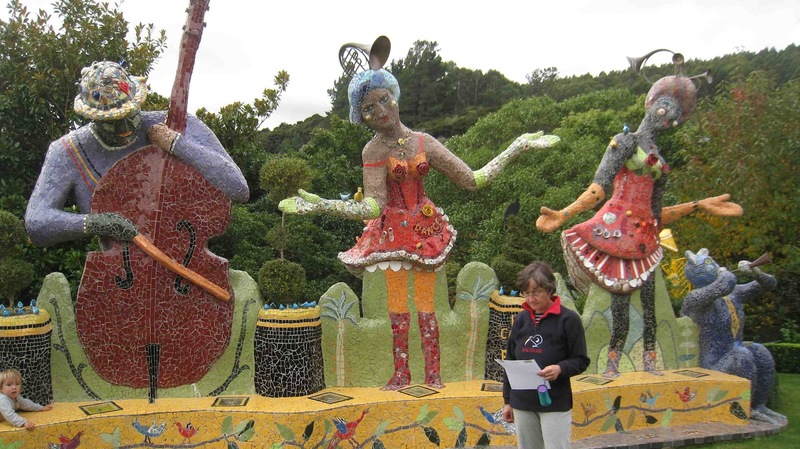 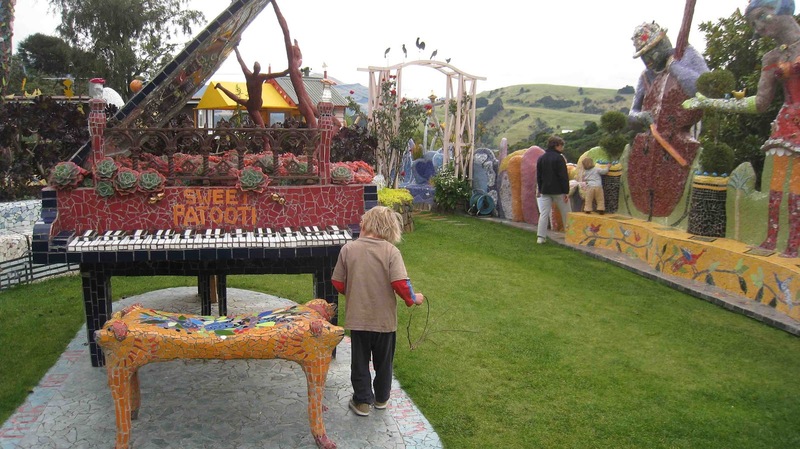 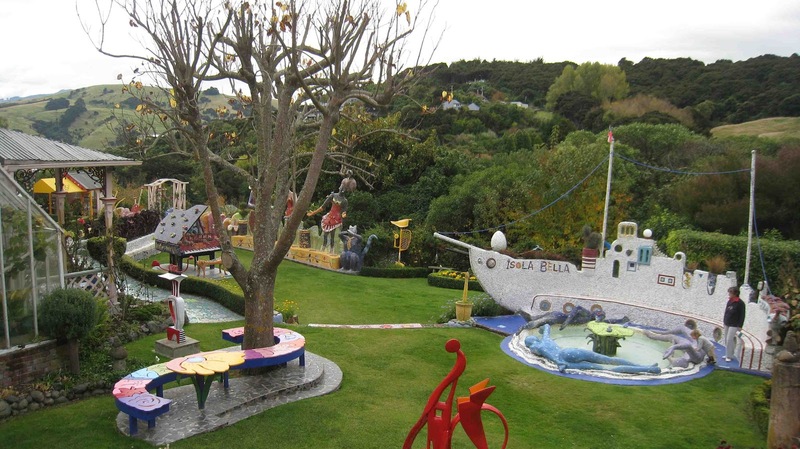 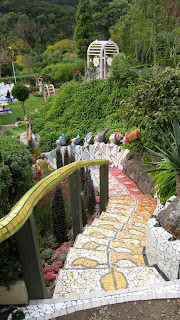 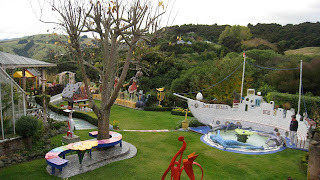 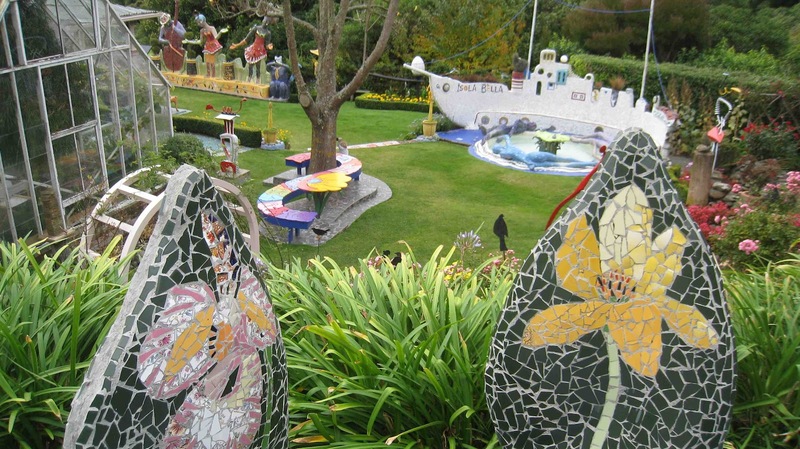 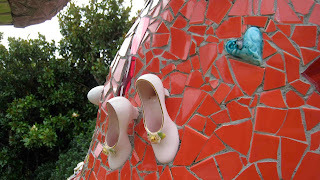 That is, until we visited The Giant's House in Akaroa. The house (and garden) owner, Josie, has spent the past 12 years (yes, years!) 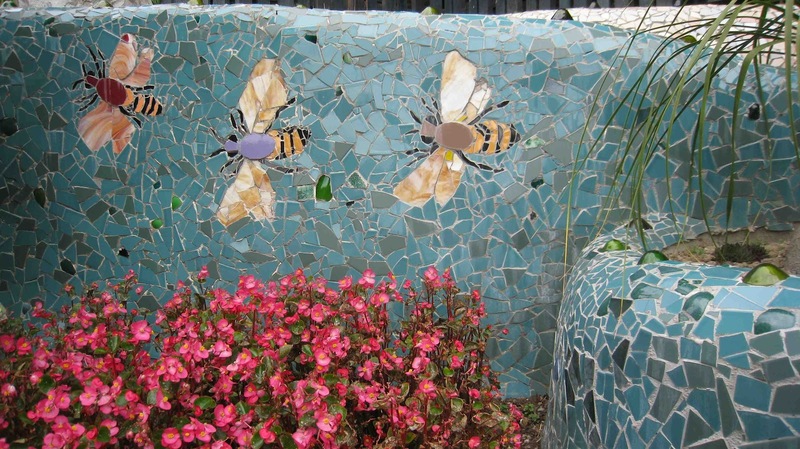 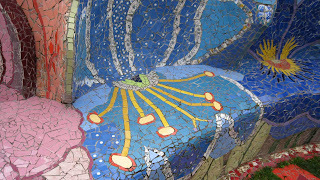 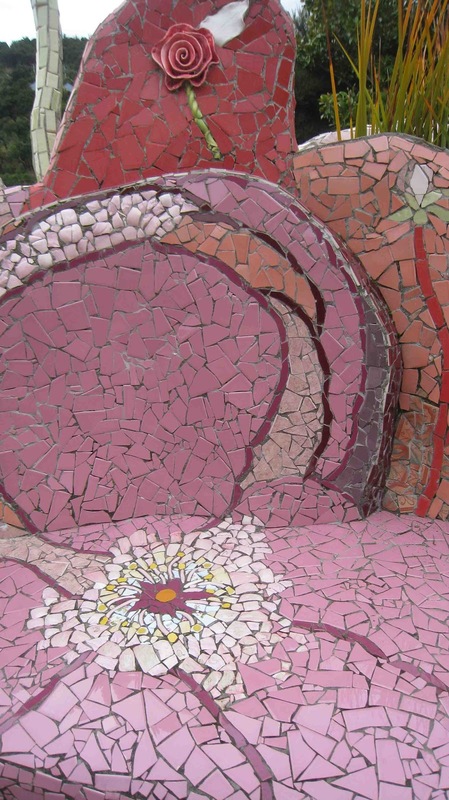 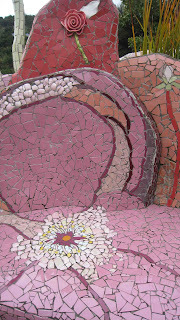 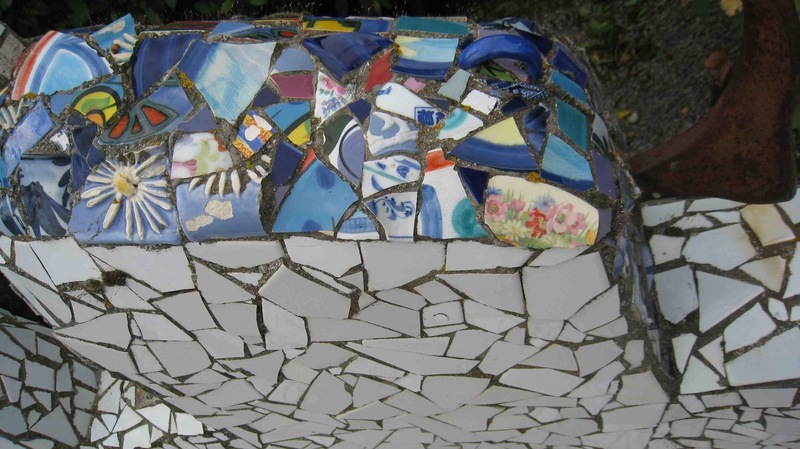 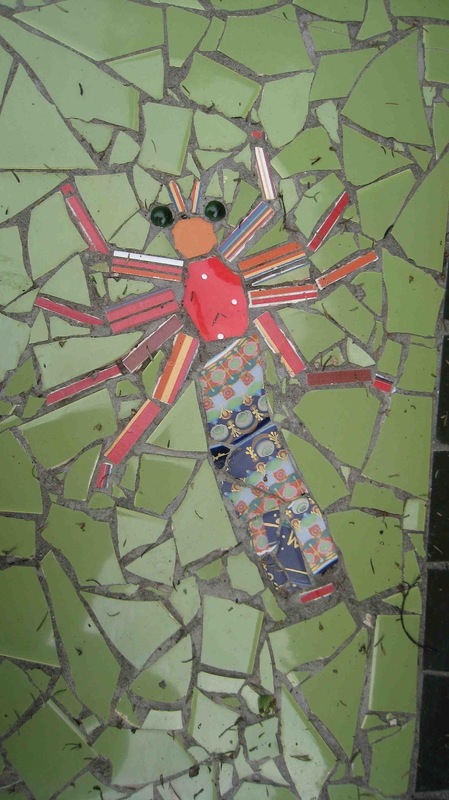 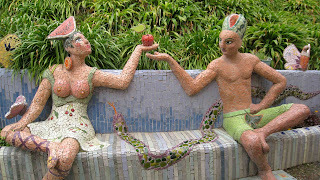 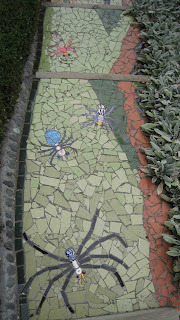 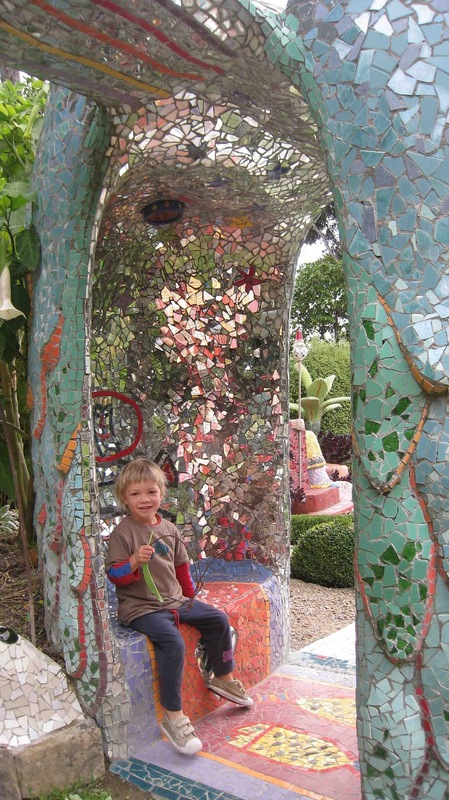 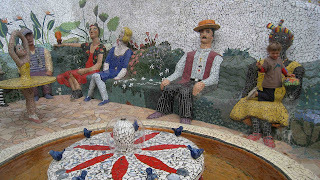 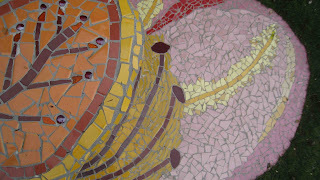 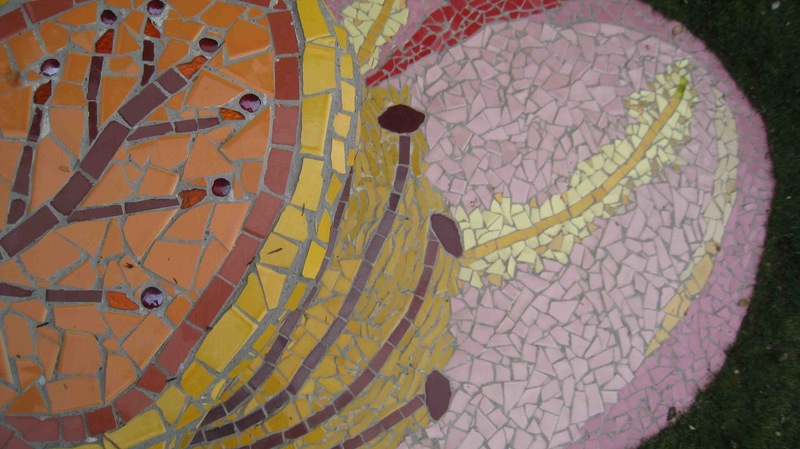 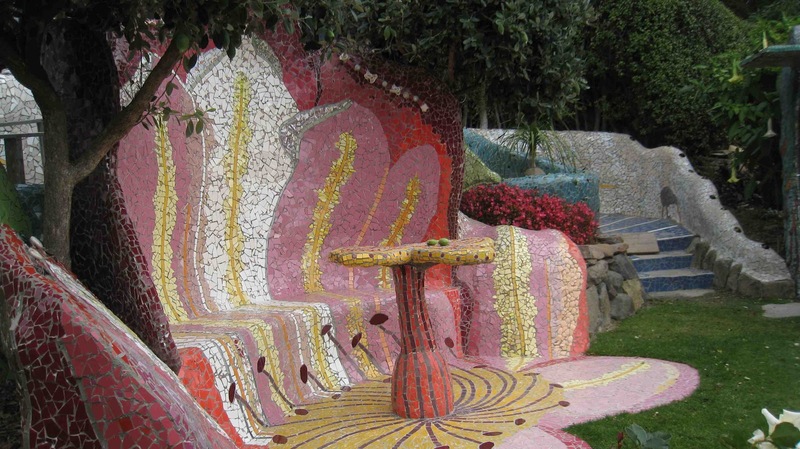 creating the most amazingly fabulous original artworks all around her little garden, all covered in mosaic. 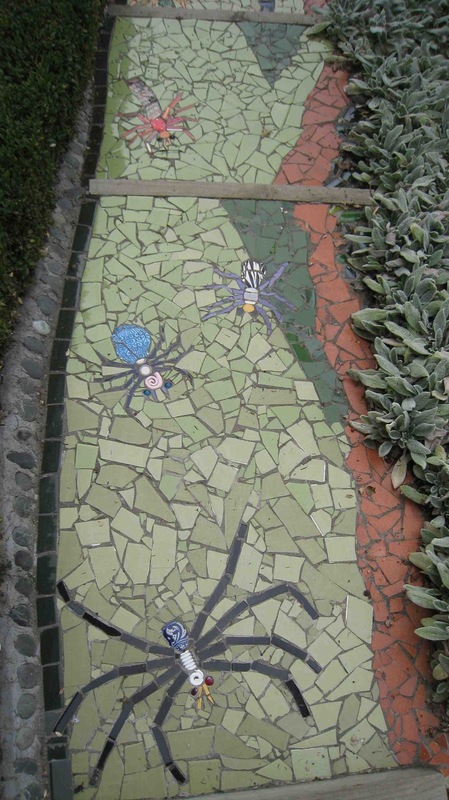 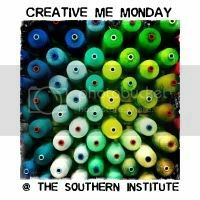 Now, this is an ode to the craft if there ever was one. 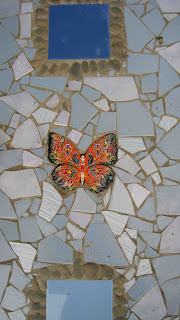 It just looks amazing, check for yourself. 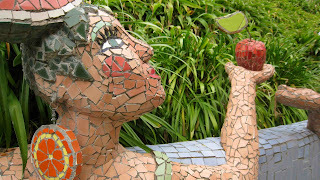 How about an apple honey? 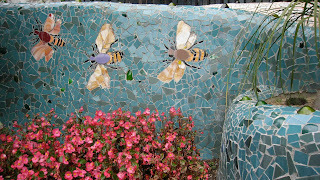 Bees flying over some beautiful (real) red flowers. The Sweet Patooti. It has real music coming out of it too!